Does EVERYONE Know that Your Business Exists? Every business, small and large, that plans to be successful should have a website. Whether you have a take out restaurant or an auto body shop, we will work with you to ensure that your needs are met. Our focus is in helping small businesses because we understand your needs, apprehensions and concerns. So many small business owners rely on word of mouth referrals and their existing patronage for future business. Below are six benefits of having a website for your business. 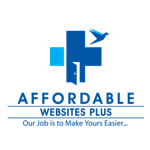 Cost Effective– The internet is very affordable compared with many forms of print advertising. Updates can be made in a timely manner. Broad Audience– Whether your business is local or global, a website will allow anyone accessibility to what your business offers. Gain a Competitive Edge– Many people search online to find solutions to their problems- broken pipes, needing a mechanic, etc. If your potential customers cannot find you online, they’ll find your competitors- who are online. Increase Credibility– Unfortunately, reality is that many determine whether a business is credible simply based upon an online existence. 24 hours a day. 365 days a year.– Customers are able to reach you at all times- even when your business isn’t open. Add Value– The convenience that a website offers increases a customer’s satisfaction, which, in turn, adds value to your business.